If bagels and sandwiches are what you're after, look no further than this new business. Located at 8555 Sunset Blvd. 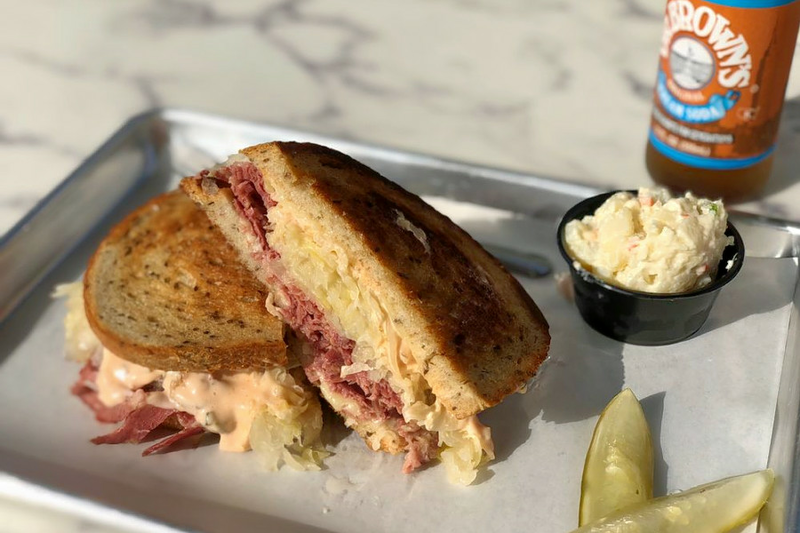 in West Hollywood, the fresh addition is called Daughter's Deli. Trisha Langer, daughter of LA staple Langer's Deli owner Al Langer, opened the restaurant with her husband. The menu features breakfast sandwiches, hot sandwiches served on double-baked rye bread, and family favorites such as tuna salad and BLT. The new deli has proven popular thus far, with a five-star rating out of 10 reviews on Yelp. Jonathan C., who was among the first Yelpers to review the new spot on November 16, wrote, "Very new and clean interiors with nice bar seating against the windows. The pastrami was mouthwateringly delicious." And Ashley E. wrote, "Best tuna salad ever. It's simple, and delicious. The tuna comes to you on a perfect kaiser roll with crisp lettuce. The place itself is clean and beautiful with indoor and outdoor seating, and parking." Daughter's Deli is now open at 8555 Sunset Blvd., so stop by to welcome the new business to the neighborhood. It's open daily 8 a.m.-4p.m.